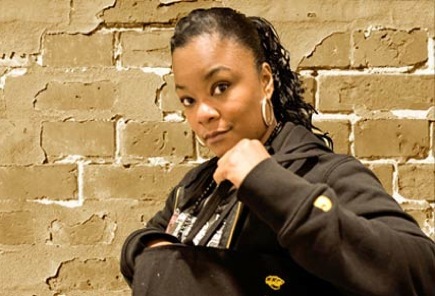 *Newcomer Chanté Adams steals the show as hip-hop legend Roxanne Shanté in the biopic “Roxanne Roxanne.” The film premiered January 22 at Sundance and also stars Mahershala Ali, Nia Long, Elvis Nolasco, Kevin Phillips, and Shenell Edmonds. Produced by Forest Whitaker and Pharrell Williams, writer-director Michael Larnell (“Cronies”), “tells a powerful true story of a spirited girl who must contend with a hard life of poverty, absent parents, assault and spousal abuse,” per writer Claudia Puig’s review for TheWrap. Adams nimbly plays Shanté, a tough but vulnerable young woman who rises to stardom while still wearing braces on her teeth. She gets hurt and used but never comes off like a victim. Adams captures her swagger as well as her softness; it’s a terrific breakout performance by the recent Carnegie Mellon graduate, who raps as well as a hip-hop star and embodies the role indelibly. A rap beat infuses some of Shanté’s dialogue and especially her clashes with local kids, making for some much-needed comic relief in a story filled with hard luck and sadness. The first time we see her, in 1978, she’s a ‘tween embarking on her first rap battle, angling to win the cash prize. The young Shanté (Taliya Whitaker, Netflix’s “She’s Gotta Have It”) asks her mom Peggy (Nia Long) if she’s allowed to curse. “I don’t care what you do as long as you get that 50 dollars,” her mother tells her. The film cleverly cuts away just before her battle with a much older guy begins, leaving us wondering just how good this young girl is. We find out soon enough. While there are some plot holes, the story we see on screen of a young girl’s fierce determination is riveting, and the performances are deeply memorable. A well-acted, inspiring story of female empowerment, the captivating “Roxanne Roxanne” is as much about survival and the bonds of family as it is about busting rhymes.